Toppik Hair Fibers, 27.5g Size is known as the ‘Large’ size of fibres, enough for approximately 75 days depending on the level of use each time the Toppik Hair Fibres are applied to the scalp . 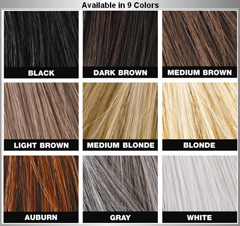 These great hair fibers are available in nine different colours, please see the colour chart to find your perfect match. TOPPIK is an organic, non-allergenic range of products tested by dermatologists and millions of consumers world wide. Toppik Hair fibers are unique amongst hair fiber products and the global market leaders. When you are looking for an instant solution to thinning or balding hair for both men and women. Toppik isn’t a spray, cream or cover-up and is made of the same proteins (keratin) as your own hair. 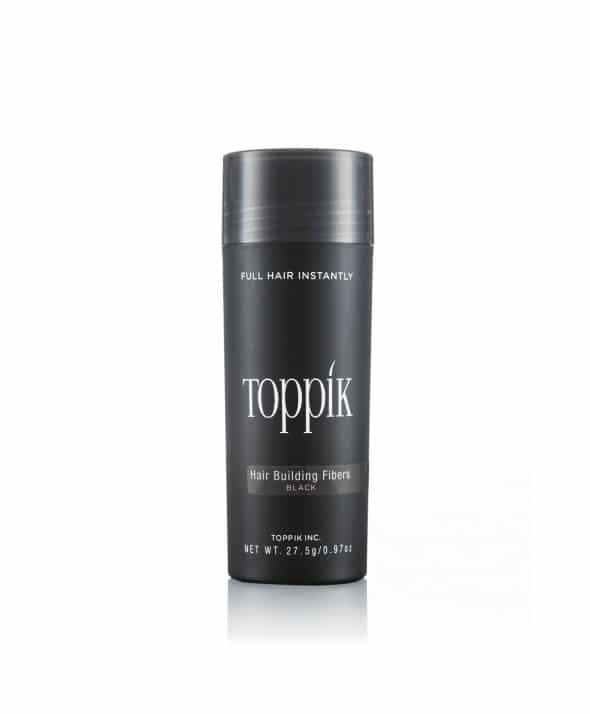 Toppik naturally intertwines with your own hair to make it look thick and full in less than 30 seconds. Simply shake Toppik hair fibers over your thinning areas and you’ll be amazed how Toppik transforms any thin or even colorless “”vellus”” hairs to suddenly look thick and full. Toppik is also undetectable and doesn’t run, smear or stain. It is proven to withstand wind, rain, and even perspiration due to the strong cling of the fibers to your own hair. It will stay in place until you next shampoo your hair. Please note that Toppik hair fibers cover thinning or very thin patches of hair. Toppik is not suitable for completely hair free, or bald, areas. 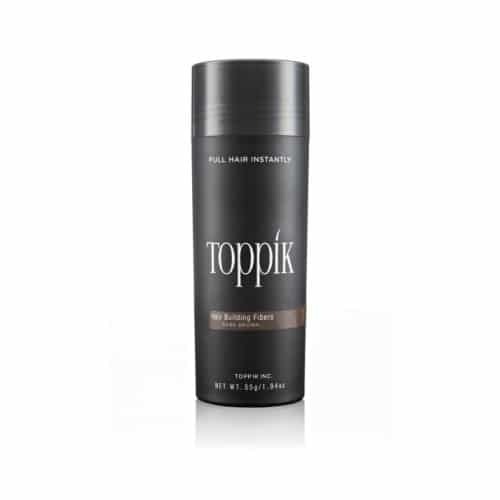 We recommend that TOPPIK FIBREHOLD SPRAY is used alongside Toppik Hair Fibers. 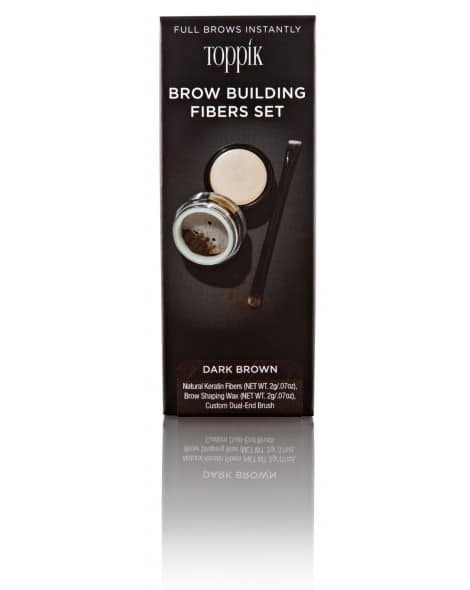 The spray seals and protects the fibers locking them into place to give greater confidence. Unlike ordinary hair sprays, this formula uses sophisticated alpha grade resins to join thinner hair and Toppik fibers naturally and durably. Pro Vitamin B5 and naturally derived ingredients soften and condition both hair and Fibers optimally for a completely natural appearance. As the spray is delivered through a pump rather than an aerosol, the application is more gentle.